Control Panels are used to save the power in the industries where there is very huge power requirement like sugar mills, steel plants, refineries, thermal power plants etc. The drives are available in AC, DC and Servo. 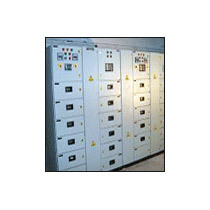 These drives in Control Panels are PLC / Motion controller based and saves electricity upto 40%. Control Panels are manufactured for small machinery such as agricultural machines and synchronous machines.